We’ve all heard the customer service maxim that “complaints are a gift,” but that is a present that you want to receive as seldom as possible. It’s an unavoidable scenario in the best of circumstances, so you must have a planned management approach to handling it properly when it does arrive. When you’re talking about medical device manufacturer complaints, understanding and planning for the different types can have huge ramifications beyond a single incident. If you’re a medical device manufacturer (MDM) customer support leader, it’s all about quickly recognizing the different types of complaints and applying the right management approach for risk mitigation. Here’s an important customer service primer that tackles three areas of managing complaints based on their type. 1. Understanding the Difference Between a “Big Gift” Complaint and a “Small Gift” Complaint. The Institute for Customer Service has a great approach to handling complaints and setting up a process for doing so that is all about ensuring positive resolution and improving the customer experience. 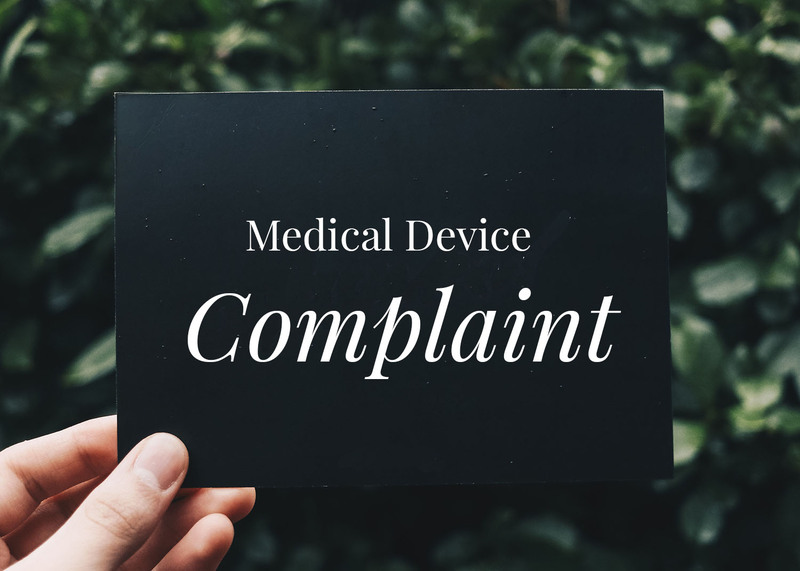 Medical device management (MDM) complaints that are directly related to a device in terms of its performance and use is definitely a Big Gift” kind of complaint. We know that because of the FDA definition of complaint handling for CFR 820.198, CFR 803, and the more sweeping CFR 820. Here is where the rules about what information must be captured and how it is maintained per the regulations are very clear and must have an MDM management complaint approach that ensures it’s done correctly. But what tools do you provide your customer support personnel to ensure that process is done correctly and efficiently? An ability to meet all FDA regulations for data capture for the potential auditing that is clear efficient and complete. While there are common complaint management processes that apply to areas of the MD sector, there are also highly specific needs that also must be met with very specific management processes and systems. It can certainly be true that customer complaints can be a gift to a company, but that is only true if they have the management processes and systems in place to properly handle and learn from each complaint. That’s the key to customer service excellence that results in receiving fewer of those gifts as time goes on.